Classy girls wear pearls! This short 20s Elegant String Pearl Necklace in Gold looks like it came straight out of a vintage jewellery box! 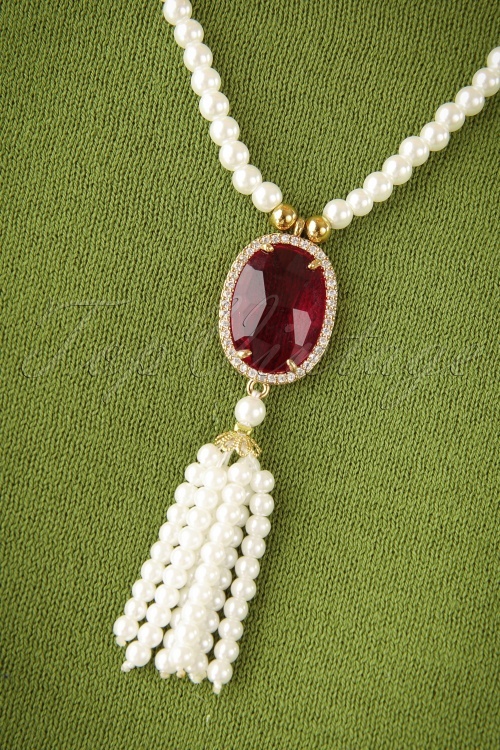 This elastic necklace with gold toned details is made of small, cream-coloured faux pearls and a pendant featuring a ruby-red faux diamond with dozens of small rhinestones and a tassel made of faux pearls. You can also wear this classic beauty as a bracelet by wrapping her around your wrist a few times. Classic and versatile... what more could you wish for? !